Nantes is one of the most beautiful and vibrant cities in France. It is located less than an hour from the Atlantic coast and two hours from Paris. The capital of western France, Nantes is located in the Loire Valley – also known as the “Garden of France” – with many fine vineyards and fruit orchards lining the banks of the Loire River. Nantes is a leader in sustainable development and was recognised as the European Green Capital 2013 by the European Commission. Learn more about Nantes. 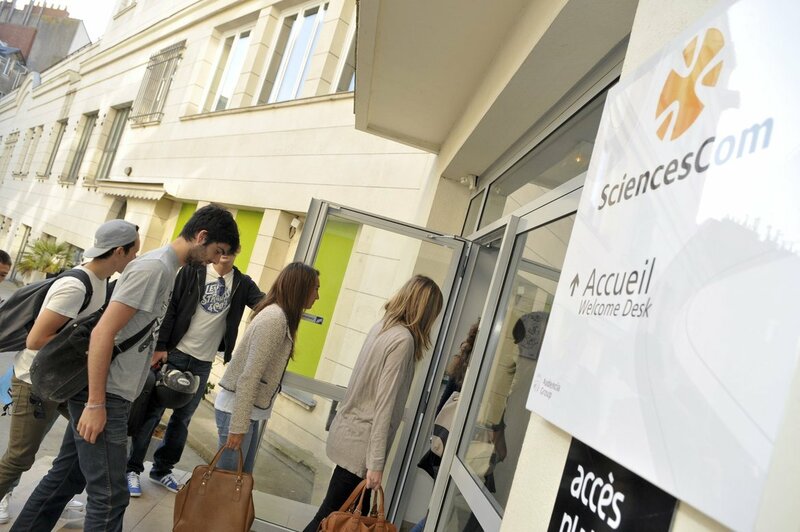 We have four campuses in Nantes: Atlantic campus, City Campus Nantes, SciencesCom Campus Nantes and ExecEd Campus Nantes. Located in the heart of the lively university district and on the banks of the river Erdre, Atlantic campus is the largest campus of Audencia. It is opposite the École Centrale de Nantes, a top engineering school and a key partner within the Centrale-Audencia-ensa Nantes Alliance. It is also across the road from the University of Nantes. Atlantic campus includes most graduate programmes, the administration of the school, the Careers and Alumni Department, the Academic and Research Department and the HR Department, as well as the Phileas Fogg Media Library. Located close to the city centre, Audencia City Campus Nantes is on the same grounds as the Chamber of Commerce and Industry of Nantes-St Nazaire. It also includes an impressive media library. Located in the very heart of Nantes, the Audencia MEDIACAMPUS Nantes is home to most communications and media programmes. It is equipped with a professional television studio and full radio studio. In 2017, Audencia MEDIACAMPUS Nantes moved to the creative district Île de Nantes, home to the media channel Télénantes. Together, they formed an unprecedented hub for communications. The most recently established of Audencia’s campuses in Nantes, the ExecEd Campus Nantes (also known as Executive Centre Nantes) incorporates our continuing education programmes, as well as the Finance and Administration Department, the Accreditations and Quality Department and the Communications Department. Opened in 2014, the Executive Centre Nantes has cutting-edge teaching materials and ergonomic and modular work spaces.